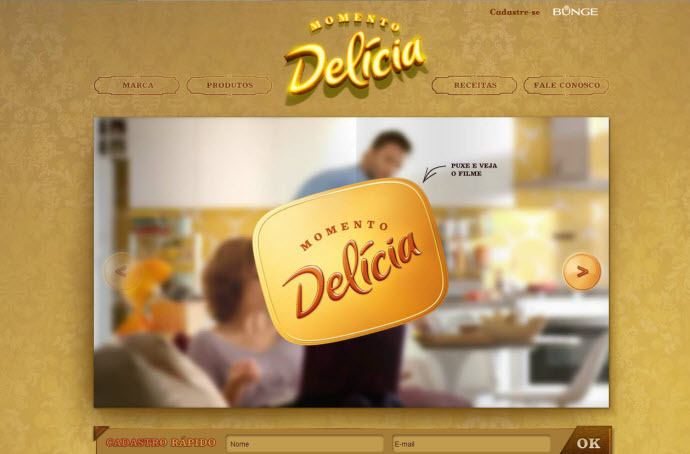 Website of a Brazilian food brand. The site makes use of some of the HTML5 structural elements. The header is used to wrap the navigation, which is split into two separate navs where one would have sufficed. The section element is largely mis-used here as a wrapper element with no heading, where a div would have been more appropriate.